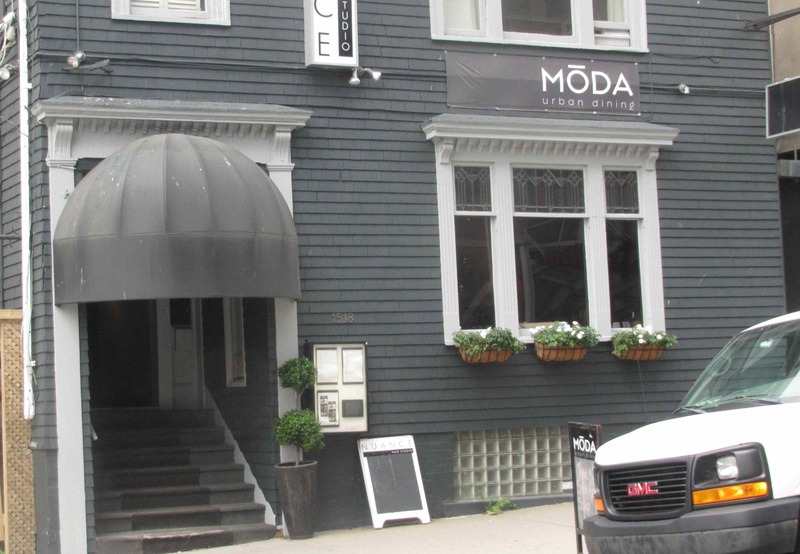 Moda is quite small and operates from a remodeled old residence that is probably Victorian. It seats about 25, I would guess, and is rather plain, even studiedly so, perhaps, with just a few simple adornments. The service I received was friendly and attentive (although I must note I was the only patron), but I was a bit taken aback by the rather casual dress of my server. To be honest, I don’t generally notice such things (and I certainly wasn’t expecting formal attire, by any means), but my waitress looked rather as though she had just dropped by to pick up a pay-check on her day off. The effect was a bit off-putting and not terribly professional, I thought. The lunch menu at Moda is very short with 7 ‘Starters’ and 6 ‘To Follows’, and most of the items listed look quite pedestrian (fish and chips, burger etc. )… The descriptions, however suggest that something new or exciting is being done with the regular old-standbys but this really wasn’t the case as far as I could tell. 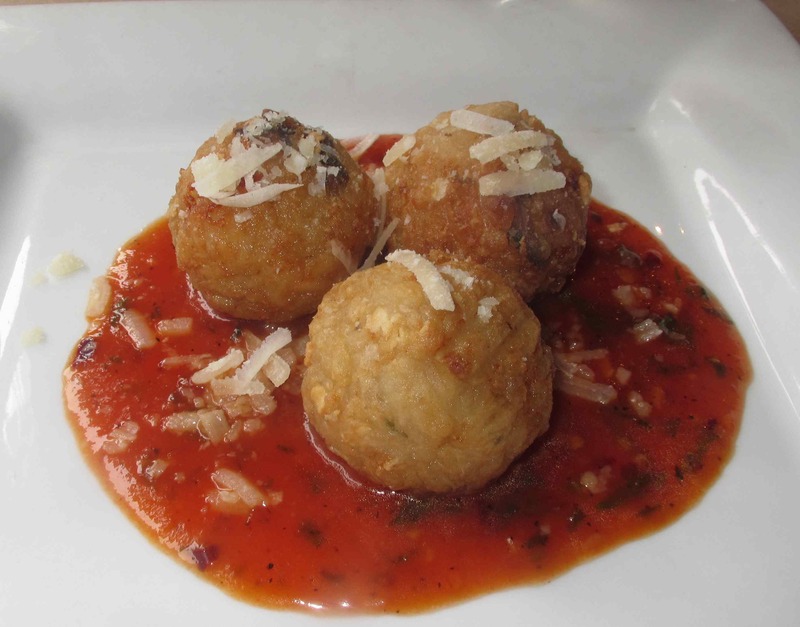 Risotto Spheres – This was described on the menu as ‘Creamy mushroom risotto stuffed with Asiago, flash fried and served with a rosemary tomato sauce ‘. Essentially, it turned out to be a variation on the popular Sicilian Arancini but, sadly, this version was not well executed. Firstly, the rice was not properly cooked (there were grains with hard centers), and the balls were prepared with very little binder with the result that they fall apart at the first touch of a fork. There were some Parmesan shavings atop each ball but, aside from this, the seasoning was minimal and the overall effect quite bland an uninteresting. The tomato sauce was okay, if a bit over sweet, but it couldn’t save this dish. Rating: 2 out of 5. Gourmet Burger – This sounded good ‘on paper’, being supposedly topped with Cheddar and a Barbecue Bacon Aioli, but the result was, not to put too fine a point on it, an epic fail… The whole thing was thrown together on the plate with no attempt at attractive service, the meat was dry and darn near crunchy, while the ‘aioli’ tasted suspiciously like one of these cheap bacon mayonnaise spreads. There was nothing ‘gourmet’ about this and, indeed, few greasy spoon diners would put out anything this bad. It would best be described as ‘institutional’ food, to my mind and it, basically, just didn’t taste good. Rating: 1 out of 5. The restaurant’s website, and a small poster by the front entrance boasts of certain awards and nominations but I can only guess that something has since gone very wrong. There were just too many problems to ascribe my experience as having occurred on an isolated ‘bad day’. I don’t ‘pan’ places often but Moda needs to do some work. Rating: 2 out of 5. 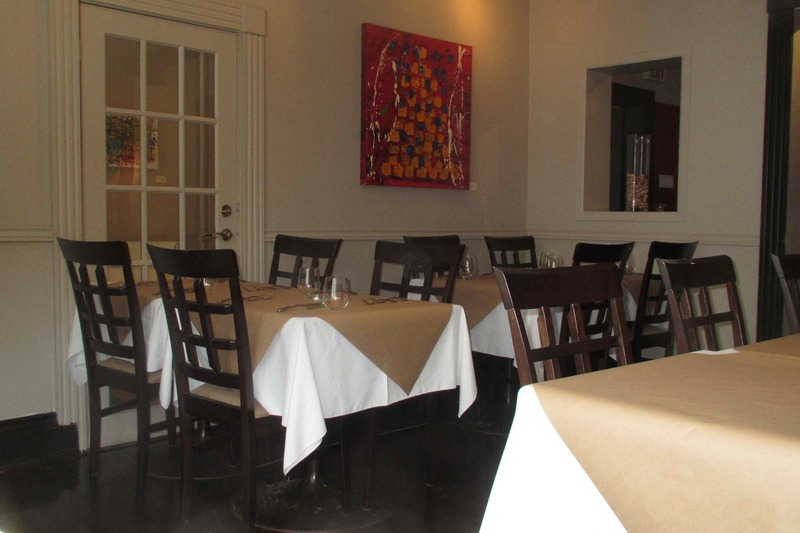 Perhaps the chef and/or owner were absent? That could well be. I hope so… other reviews have been quite good. 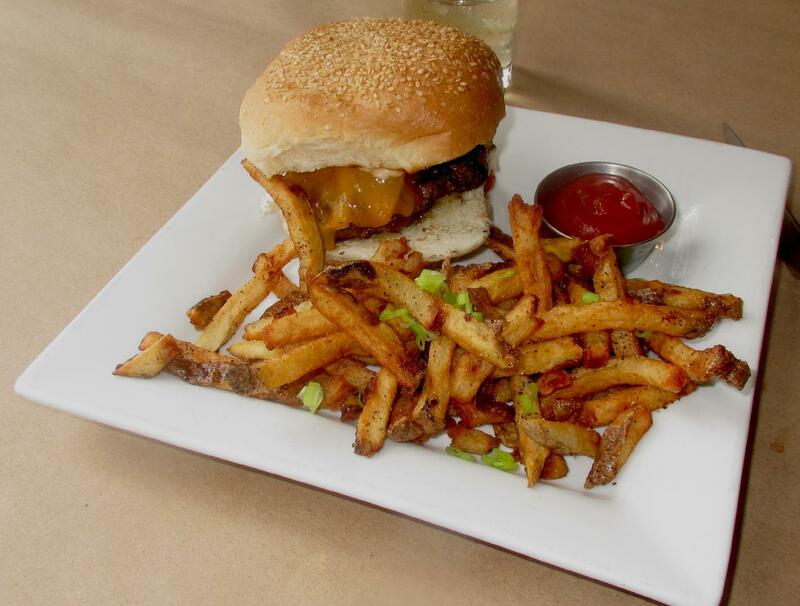 By the look of your photo, chef, owner and customers….